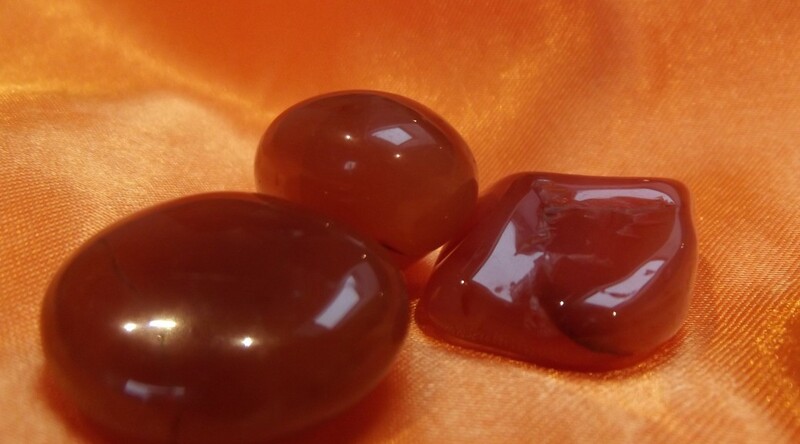 Carnelian is an orange/red stone sometimes with white or dark streaks going through it. Good stone for grounding. Good for using for the sacral or base chakra.